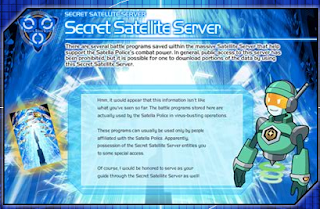 It appears the Satellite Server on the official Mega Man web page is advertising some of the "locked" gameplay features. Beyond the "Multi-Noise Generator" lies two new pages. The first, devoted solely to Noise Gear and Purpose Cards abilities; the second, a hub discussing the Secret Satellite Server. Maybe Capcom is planning on "unlocking" these features after all? The again, maybe not. Yeesh! News of the hizzow today! Good. Its seems like you got my E--mail about the SSS site's new info Protodude. So, what does that mean we can do right now? I hope they unlock it at some point, or decide to do something with it. Yay~! Now I won't have to be in envy...can I crap myself now? I still don't know what in the world CoA would do to "unlock" the feature for us. I don't have much hope for the feature anymore. I think that was just translated to keep the entirety of the Secret Satellite Server intact. They do explain the actual story behind the two things, so it's nice just to see that in english. I'm really starting to wonder.. what if it's just something we just happened to overlook? At best, I'm imagining it's a "Title Star Command" like they did with Rogue ZZ. Interesting......between this and the card they made available, I might buy this now instead of later. I played the first two, might as well finish up the series. This was supposed to be the final one, right? Unlocking doesn't sound impossible. I can image the filter on Wi-Fi would suddenly appear if that were the case. Why did they even bother posting this crap? 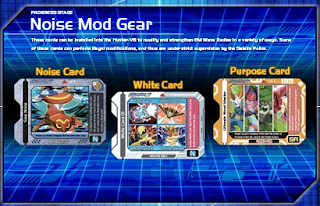 None of it is currently accessable in the NA versions of the game unless a cheating device is used. I highly doubt these features are "Locked", feels more like they are messing around now. What, with that so called answer seth gave us at the ask capcom forums and what not, they go and put those pages up on the site? Meh. COA, meh. They are locked since they're usable with the assistance of an AR. I use NKG offline all the time. If they come through with an unlock method, I'll actually buy the game.